Raised in Friday Harbor, Becky has a long history of customer service in her community. As our dedicated Nail Technician, she brings a passion for healthy hands and feet, tops it off with some color and sparkle, and sends you on your way feeling pampered and beautiful! Becky is licensed for Acrylic, Hard Gel and Silk sculpting, as well as all gel and regular manicures and pedicures. Designing Custom Bridal Nails is one of her favorite parts of being a Nail Tech! 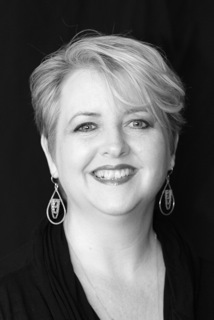 When not at the salon, Becky can often be seen on stage or working behind the scenes at San Juan Community Theater, along with her 2 beautiful daughters and wonderful husband. Becky is available Monday through Friday, including select evening appointments, and often on Saturdays as well.